And many other high-tech items! Please check out our current items and keep an eye out for new items to come! My experience was great!! My Mom cracked the screen on her tablet and her tablet is her LIFE, lol!! Juvix replaced the screen quickly and at an affordable rate. My Mom said, “It looks brand new!” Thanks Juvix!! Juvix the Tech Guy is just great! I am not tech savvy, so the fact that he explained, in clear language, everything that had happened to my laptop and its software was exceptional. He diagnosed the problem, got a good fix for it, quickly, and at a low cost. He is very customer-oriented. I will go back to him with any tech problems I have in the future, and recommend him highly to those of you who are technology challenged like me. He's very nice, very smart, and very responsive. What else would you want? What a great experience! From the very beginning Juvix was really responsive and made it easy to get there. From there, it was really obvious that this guy knows his stuff and explains and shows you everything. He’s very clear, works quickly and very well for a really good price. I’m a student who was in a crazy time crunch as I prepared to study abroad and he was able to affordably accommodate everything I needed in a super timely fashion. Wow just amazing, thorough, and timely service. Justin went above and beyond for my business with no notice at all! Great prices and I'm a firm believer that you get what you pay for. 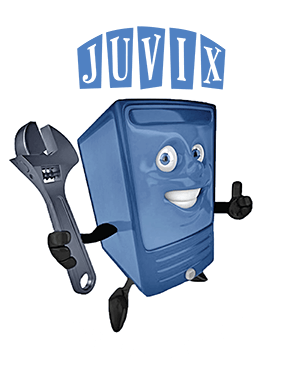 I'm so grateful for the referral and I will continue to use Juvix The Tech Guy for all of my future fixes!! Thanks Again. I was stressed out for nothing. I had a fantastic experience with Juvix. It was my first time contacting a computer repair place and he was great at letting me know costs, the process, and explaining things to me when I was very disorganized with my info. He was so patient and kind, which made it much easier to communicate with him in general. My laptop is running so much better now that it's back. I can't recommend him enough and though I hope I don't have many technological issues in the future, if I do, I will happily bring them to him. Great computer guy, definitely knows his stuff. Prices aren't too bad either. Would highly recommend him for any computer or phone related repairs. Great service, they helped get my laptop up to date, saved me tons of money! They are not pushy so if you want something be sure to ask. They were so accommodating to my needs and now my computer is faster and there’s more storage for my photos! Excellent service!!! Dude really knows his stuff and is super nice. High recommend him. He fixed my iPhone that I dropped in the sink. He told me straight up that liquid damage can be repaired but for me to bring my phone him asap, and so I did. Yo really fixed my phone using his microscope thing. He a straight genius, yo got a science lab forreal. Highly recommend Juvix. Thanks again bruh. Outstanding service. I was in a bind and he went out of his way to get me back up and running, quickly, and at a very good price. Plus, Juvix is a truly nice guy. Amazing service and time! He was great and helpful. Got my laptop repair done for the best price. Honest and friendly. This was the best computer tech I've ever met. He resolved my issue in a few minutes and unlike various other places he didn't charge me a crazy amount of money because of his knowledge and my lack of knowledge. If you are trying to get professional service and genuine customer compassion look no further.